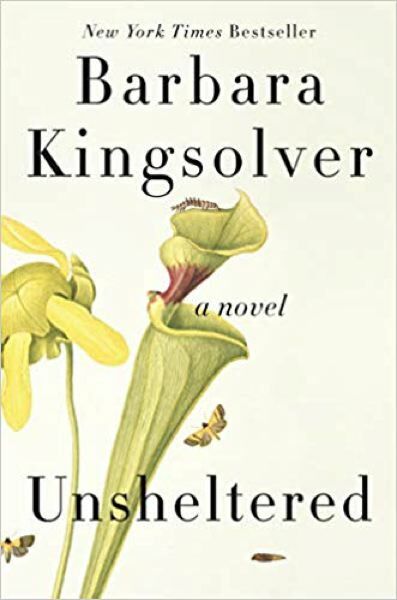 Barbara Kingsolver's new book, "Unsheltered" ($29.99, HarperCollins), opens with its primary character, Willa, getting bad news from a building contractor about the old house she recently inherited and moved into. As they stand in the New Jersey street together, in a town called Vineland, the contractor says the house is a hopeless tear-down, essentially not salvageable. After a life spent moving every few years, Willa craves permanence, but the roof on her "forever home" probably won't last another winter. There's no foundation under most of it. Bad news comes again when she learns her Boston-based son's wife has committed suicide. The couple's newborn son soon will be joining Willa and her husband, daughter and right-wing father-in-law, who is on oxygen, in this crumbling abode. It's a powerful, effective metaphor for her novel. Kingsolver has established herself as a major American literary voice in earlier novels like "The Poisonwood Bible" and "The Bean Trees." With "Unsheltered," the author paints a nuanced portrait of America right now, setting the action directly in the cross-hairs of the current Trumpocalypse. Think you're middle class? Think again. The book could be described as "Nickeled and Dimed for the Ph.D. set," a world where smart, educated people do everything right in their careers, raise their kids, and end up with nothing to show for it but dimming prospects and a climate change denier in office. Willa's husband, Iano, is a college professor. She loves him deeply, but he never landed the tenured position the couple spent their lives chasing. In their new town, Vineland, he has accepted another one-year contract with no job security. Willa's career is on the skids, too. She's gone from full-time journalist to occasional freelancer to pitching feature ideas mostly in her head or reaching for a pocket recorder she no longer needs. But the ever-hopeful Iano has faith that resilient, scrappy Willa will find a creative way to hold their lives together. She proves him right when she sets out to get their tear-down house placed on the National Register of Historic Places. As Willa researches the history of her home at the local history center, the narrative alternates between now and post-Civil War America, when Vineland was founded by early Utopians. She learns about two of the town's early residents — a naturalist named Mary Treat who lived next door, and a science teacher named Thatcher Greenwood who lived in Willa's very house. The novel shifts back and forth between Willa's era, and that of Vineland's early residents and the dawning of Darwin's ideas. Willa and Thatcher Greenwood both struggle, we learn, to fix a house that can't be put right. In their slide into poverty, the hope for the family's future lies in Willa's daughter, Tig. She's a gimlet-eyed recycler and inconvenient truth-teller who focuses on small ways the family can adapt and survive. Wildfires, floods and earthquakes are not if, but when. Tig is resourceful and calmly bracing for the coming catastrophes. 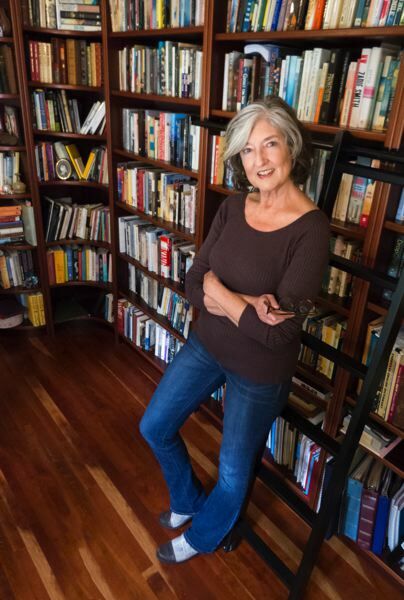 While "Unsheltered" may sound like dreary, end-of-world stuff, Kingsolver reminds us on nearly every page of life's beauty and its simple comforts. It's oddly reassuring to read a novel in which both the fictional characters and readers grapple with these perilous times.